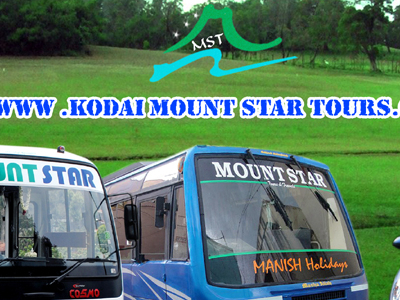 Kodaikanal MOUNT STAR tours & travels was established during the year 2001 with the main objective of providing efficient and Trouble free service to the tourist visiting south India. 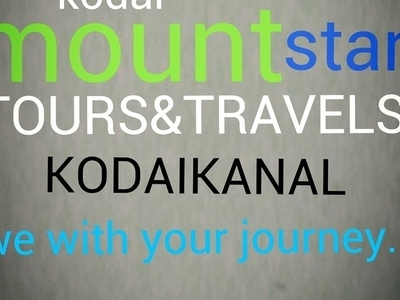 The office of KODAIKANAL MOUNT STAR tours & travels is strategically located Very entrance to Kodaikanal, Near Zion School, Govt High School (Opp), Lawsghat Main road, Kodaikanal. 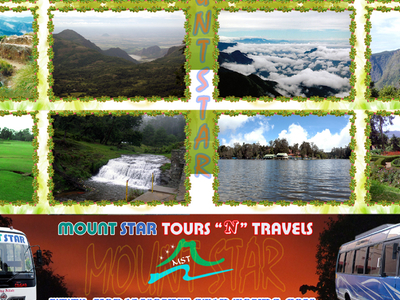 (Tamilnadu) which are the hub of Tourism activities. 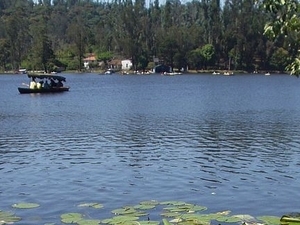 We are operating regular trips from Kodaikanal to Kodairoad, Madurai, Rameswaram, Kanyakumari, Thiruvandrum, Chennai, Munnar, Thekkady, Allepey, Cochin, Coimbatore, Ooty, Mysore and Bangalore. We also do the Pick-up Or Drop from in an around Tamilnadu by TaTa 407 (2x2 Seats)Luxury Coaches, Tempo Traveller, Tata sumo, Qualis,innova, lancer, Tavera, Maruthi omni, Indica, Indigo, Santro, 31 seated Bus (Semi Sleeper),35 seated PushBack,40 Seated non push-back Bus By A/C & NON A/C as per tourist need. We have very well experienced and reliable drivers. 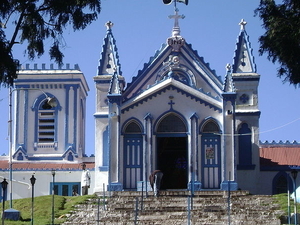 We also do the Booking for Railway, Bus and Flight by Online Reservation.